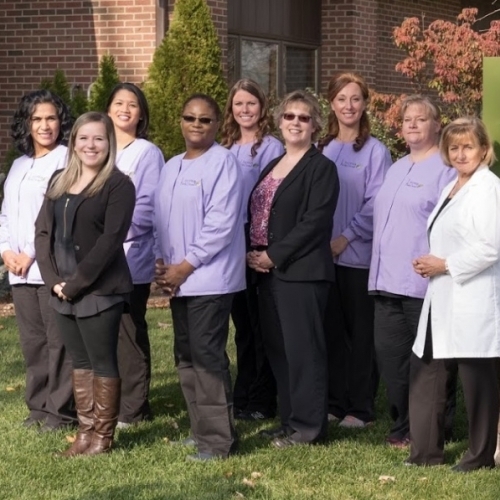 For over 20 years, Livonia Family Dental has been a leader in Dentistry, providing our customers with the best dental experience from beginning to end. Apprehension or nervousness before a dental appointment is natural. Livonia Family Dental understands this nervousness, so we have created a friendly, relaxing environment. Our team of experts are here to ensure that your visit is as calming and comfortable as a day at the spa. At Livonia Family Dental we are not only concerned with your dental health, but your entire well being. Our mission is to provide quality life-time dental care in a professional, caring, and comfortable environment. We are confident that our services and our friendly, compassionate staff will exceed your expectations and make you feel right at home. We offer personalized, state-of-the-art preventive dental care to patients of all ages. Our aim is to work together as a team to customize a care plan tailored specifically for you. We strive to establish long-lasting relationships with all our patients. Your family is our family too! We strive to bring the latest technology to provide our patients with the best possible oral care available. This technology allows us to diagnose and treat patients safely and comfortably, while giving them the best possible results. These are state-of-the-art technologies that detects abnormal oral mucosa before it can be seen by the naked eye. Like other cancers, early detection of oral cancer is critical. Studies have shown that early detection of oral cancer with technologies like the Oral ID™ and VELscope® Vx dramatically improves the survivability of the disease. If oral cancer is detected in its later stages, which typically occurs during a conventional oral cancer exam, the chances of survival are dramatically reduced. The panoramic X-ray is sometimes referred to as a full mouth X-ray. It is a two-dimensional picture of a patient’s teeth and surrounding bones. This picture is panoramic, meaning that it captures images of more than just a couple of teeth — it takes a picture of your both upper and lower jaws from one jaw joint to the other. Panorex X-rays can detect a wide variety of health issues, before the patient even knows they have a problem. A benefit of the Panorex X-ray is that it puts images of all these parts of the jaw onto one picture, making it easy for the dentist to see everything all at once. It is also easier for patients that have difficulty holding X-ray films in their mouth repeatedly for several minutes. The Panorex X-ray is over in a few seconds! These are used to display X-rays, and show patient education videos about the treatment you will be receiving or have questions about. Our monitors will also show images from the intra-oral camera, a camera that is used to take images of your mouth and gives us a closer look of any current or potential problems you may have. The Diagnodent is a pen-like probe that sends a safe, painless laser beam into the tooth and checks its health. A number scale and an alarm will signal when there are signs of hidden decay, which allows us to determine if a cavity is starting to form beneath the apparently healthy tooth surface. Immediate treatment of decay, before the condition worsens and more invasive and costly measures must be taken. No radiation – Diagnodent uses a safe light energy to scan teeth for cavities that would otherwise be missed. A way to protect and preserve tooth structure, both for patients prone to cavities and those who think they are safe from decay. The process is painless and non-invasive, meaning you can relax while your teeth are carefully scanned. The Diagnodent Laser is the latest and most up-to-date technology for preventive and diagnostic care. The DEXIS CariVu device is a fast and painless way to thoroughly examine your teeth. This device shines a zero radiation, near-infrared light on your teeth, making the enamel appear transparent, while highlighting the areas that are decayed or cracked as dark areas. This helps us identify areas that need immediate treatment, enabling us to provide care before the problem becomes more serious or painful. We also use the DEXIS CariVu caries detection device to confirm findings we see in your X-rays. We are then able to share the pictures on our flat screens at a large size to help provide you with better insight and understanding of our recommended treatment plan. An image history of your teeth is kept on file, so that we can compare images from previous visits and monitor changes over time. Patient education is one of the pillars of our practice. We love nothing more than having you walk away fully understanding your specific treatment plan and its importance in your dental and your overall health. Using CAESY Cloud, we offer over 280 patient educational videos, right from the comfort of each dental chair, for you to watch to help you better understand your dental procedures and to help educate you on all matters of dental health. We love the saying “seeing is believing” and as part of our patient education mission, we use this tiny camera to show you up close and detailed pictures of all the surfaces of your teeth. This better allows us to show any problem areas on your own teeth and how we can accomplish the treatments necessary to fix them. We then save all the pictures captured in your patient file so you can see the impressive before and after pictures of your own teeth.